Check popular encyclopedia Wikipedia and you will find ShixxNOTE in it. There is a page with all info about ShixxNOTE program and some images. 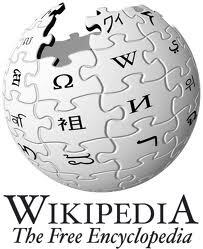 Also you can find program under many categories on Wikipedia. It is listed in categories Desktop notes, LAN messengers and instant messaging. That is great award for all effort I used as a programmer and developer. By default in ShixxNOTE program you have 11 default themes. This notes can not be deleted. But you can always change note and title color, note font and after that if you like your new customized theme you can save it under your own name. That saved note will appear on every note. 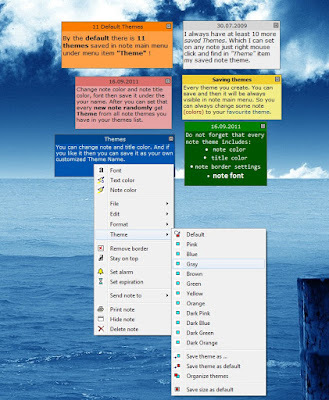 So you create new note and apply your saved Theme and voila colors and font is changed. I have about 20 Themes on my computer. But I am always playing with colors. Also there is option that every new created note have random Theme. Check that under main program settings. 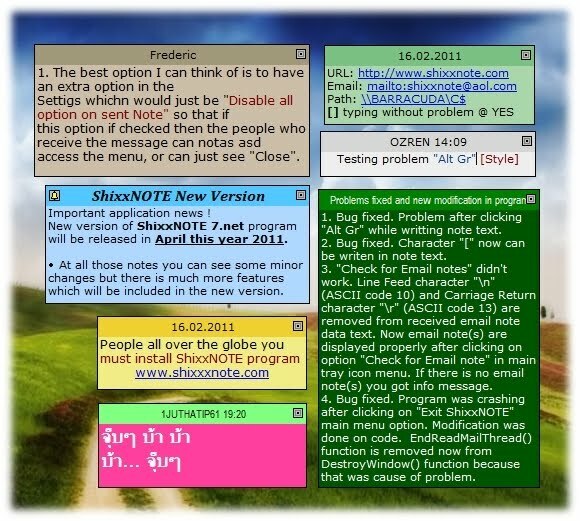 On this image you can see only 11 default notes which will be avaiable in version 7.net which will be released soon. If you have some cool note themes you can send me note by email and then I can save your note theme in my theme collection.